At Prairie Dog Daycare we have a number of policies in place to help ensure your dog’s safety but did you know we’re Pet First Aid Qualified? This includes myself and any helpers I might leave your dog(s) with should I need to step out for an hour or two. Pet First Aid is essential for anyone working with multiple dogs in an off leash setting where knowing how to assess injuries and when to seek veterinary care can mean the difference between life and death for your pet. 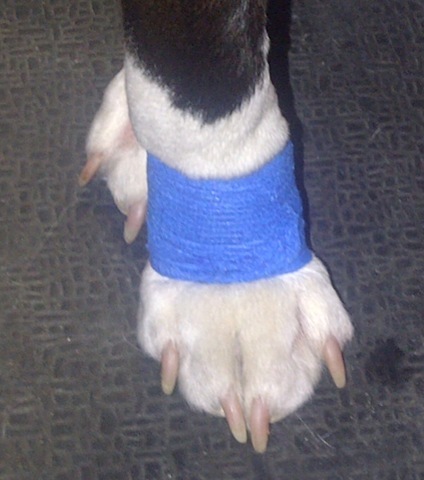 In my opinion, ‘hoping’ nothing happens and telling my clients that “dogs never get hurt here” is just plain wrong! The potential injuries in a dog daycare range from torn nails to bites and everything in between and I feel that I owe it to my clients (both ethically and legally) to be prepared for every possibility.